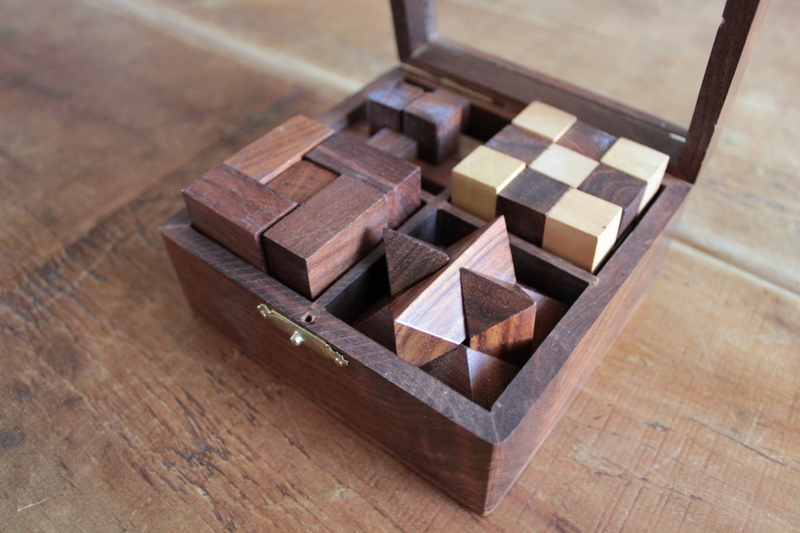 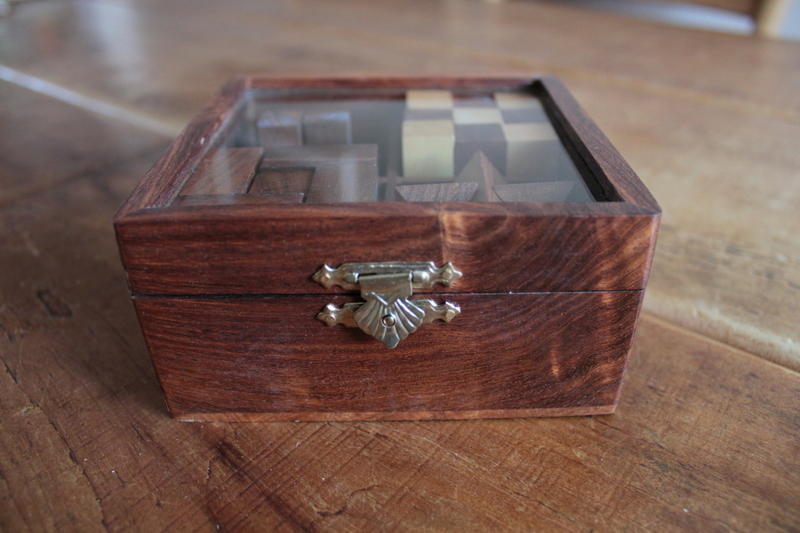 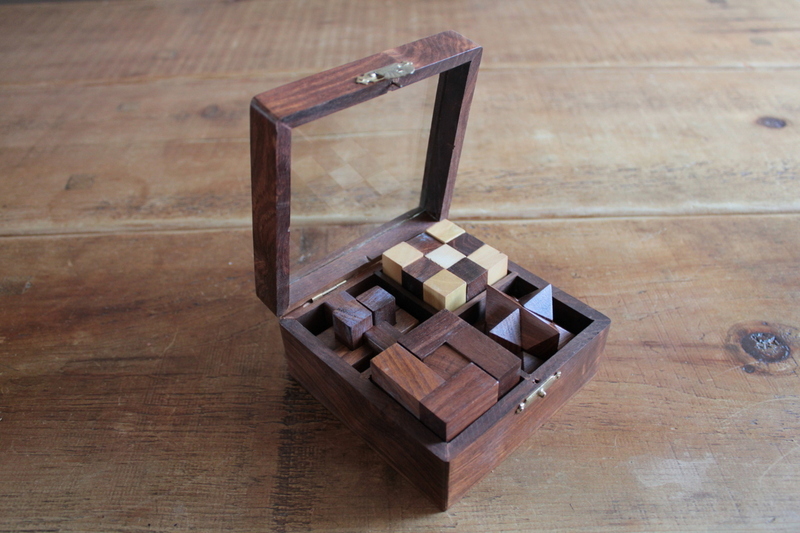 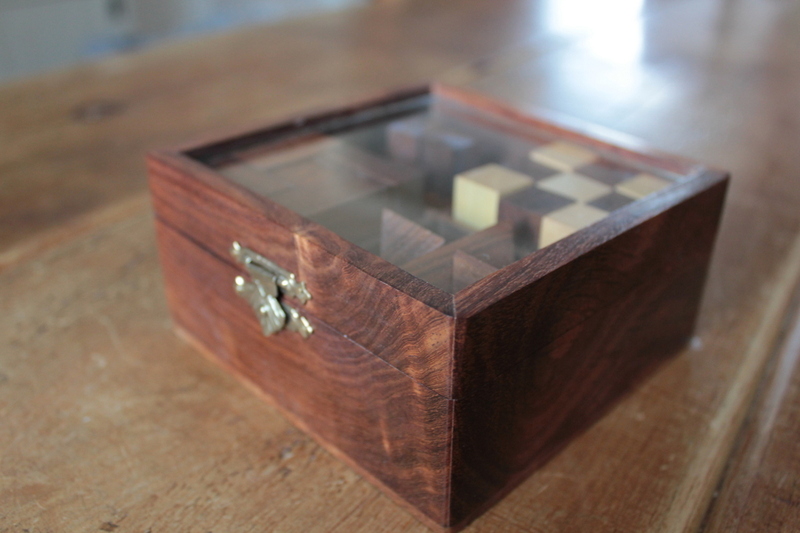 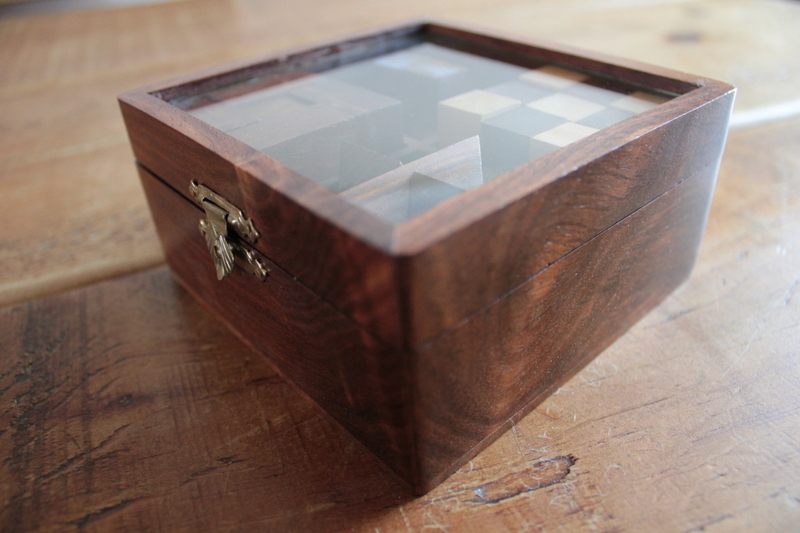 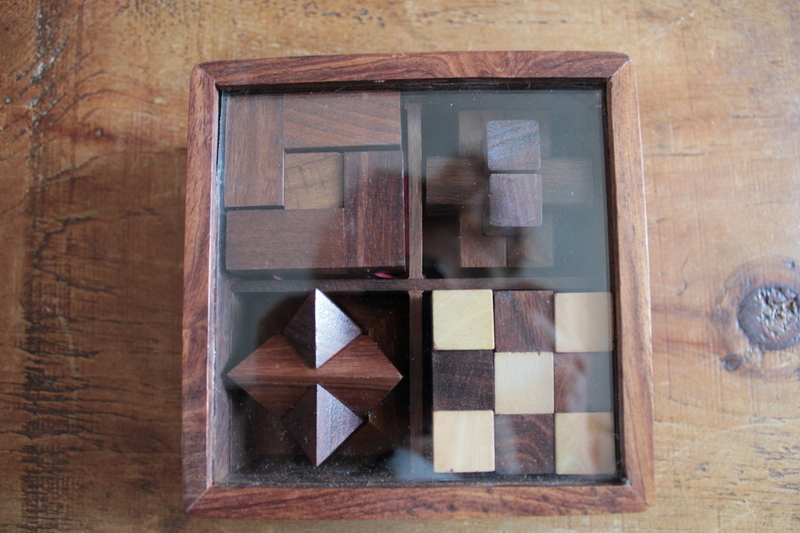 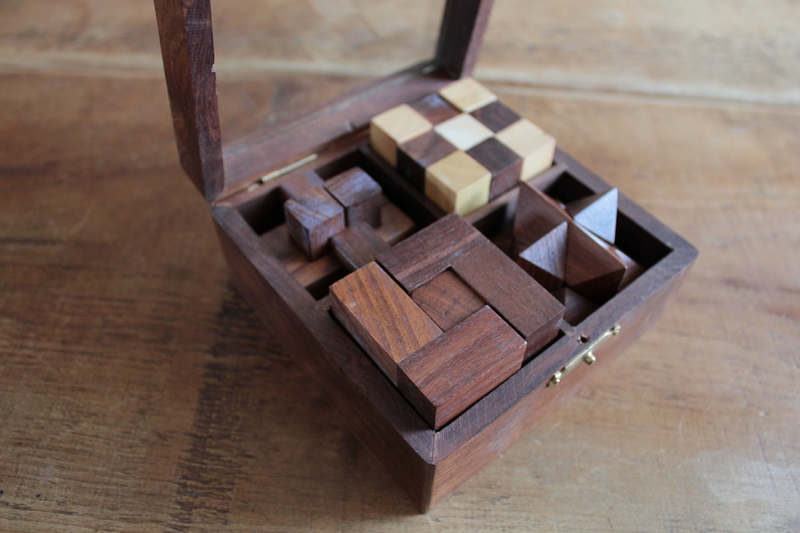 This product from ChessBaron: Very high quality solid wooden set of puzzles. 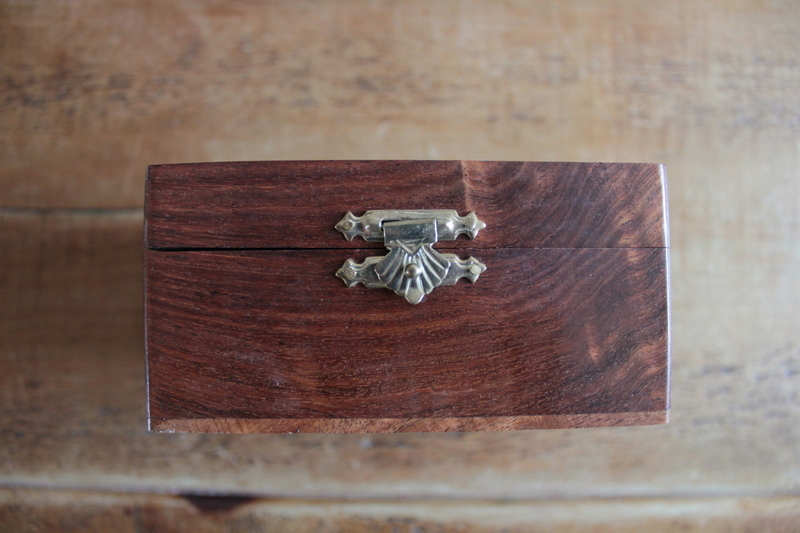 Made to last, not to break. 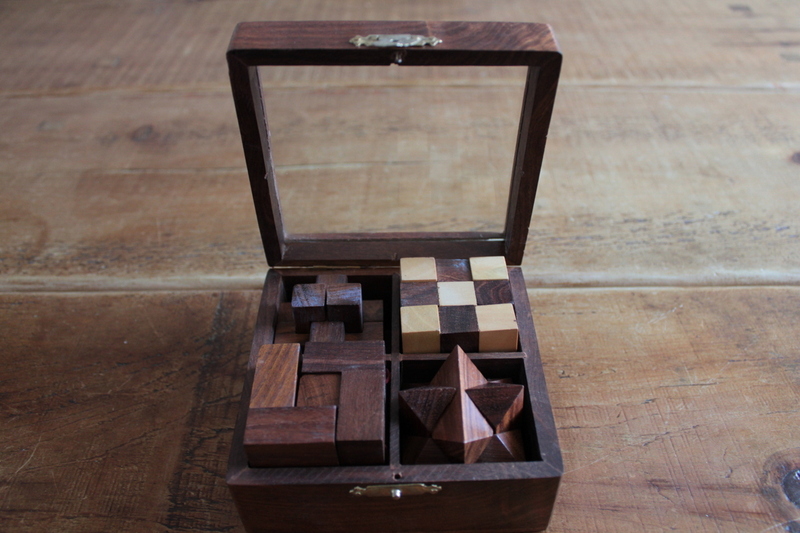 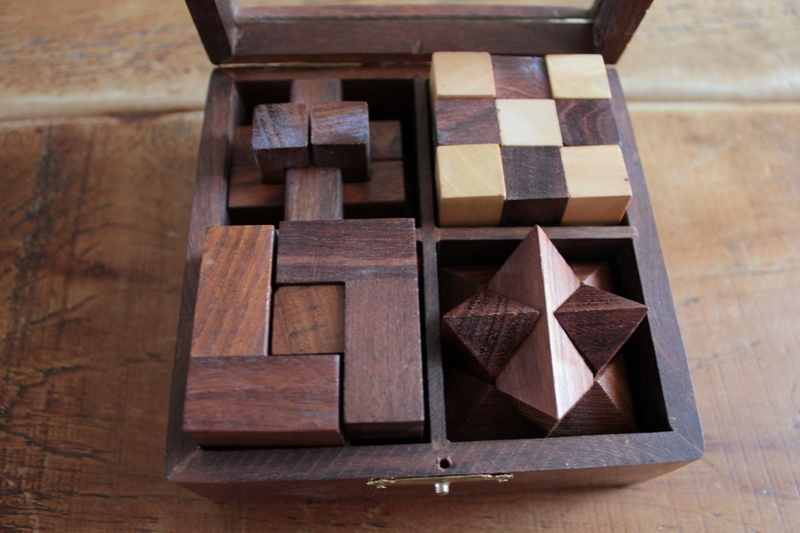 A set of 4 wooden novelty puzzles for every age group.